The Royal Penthouse Three-bedroom condo is very spacious, luxurious and comfortable. It has a master “en suite” with a king-size bed, a separate spa/Jacuzzi room, a walk-in closet and a full modern bathroom; a second bedroom with a king-size bed, built-in closets and a second full modern bathroom; a third bedroom with a two double (=full-size) beds, built-in closets and a third full modern bathroom; a living room with a comfortable queen-size sofa-bed set; a full-sized fully equipped modern kitchen with 4-seat dining bar-table and separate 6-seat dining table, a laundry(washer/dryer) /storage/facility corridor. There are three large balcony terraces adjacent to the living room, the master “en suite” and the second bedroom, each also with amazing ocean views! 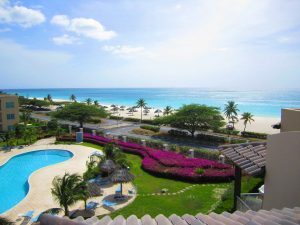 Further, accessed through an internal spiral staircase, there is a 900 square feet tiled roof terrace stretching over the condo, with terrace furniture, a full-size gas BBQ-grill, a large outdoor hot tub and a spectacular, panoramic ocean view! This unit provides you with about 2,100 sq.ft. of living space, plus 900 sq.ft of roof terrace. Cable TV, four high-definition flat-screen TV’s (in living room and each bedroom), a DVD player, free broadband wired and wireless internet, and a stereo set are all available for your comfort. This unit is located in the Boca Catalina(=beach-side) building on the third floor with no floors (other than its own roof terrace) above it.—Sleeps max 8. The facilities include three large swimming pools, a kiddy pool, a gym, a sauna, a business center, two tennis courts and a kids playroom. Wonderful landscaping on the premises. 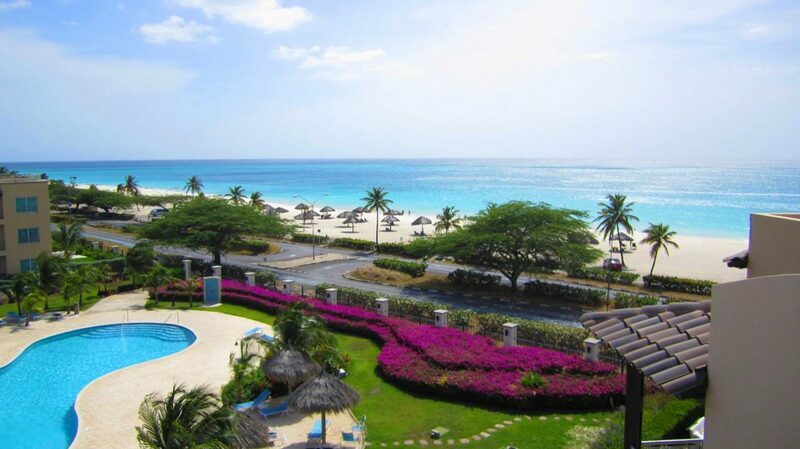 Enjoy the tranquility of the resort and stroll on the beautiful beach just steps in front of the premises.